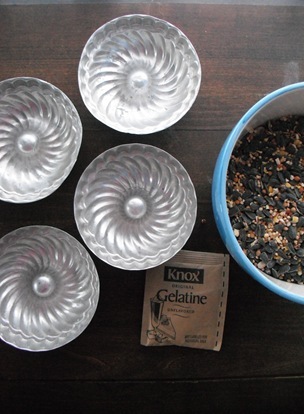 Mix water & gelatine in a mixing bowl. Fill 4 small bunt pans. Let stand in a cool area for about 4 hours. 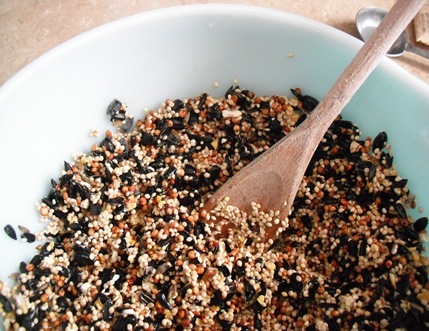 Hang outside using twine for the birds to enjoy! See my Linky Page for the parties I am participating in. Love this Chas! I have a bunch of little birds around and I feel so bad that there isn't anything for them to eat. I need to make these. Have a great weekend! Such a cute idea – I'm going to try that with my kiddos! I'm a new follower, here from a hop! I hope you'll visit my blog and return the favor. I love this idea! I want to get another bird feeder. We had one when we lived in Missouri, but it was taken over by squirrels. And those suckers were MEAN. One would sit inside of the feeder (it had a top door) and would attack any other squirrel that tried to get near. I can still hear them growling in my head, LOL! I am not sure if you like to “play” along, but I gifted you something on my blog…It will be up tomorrow morning! Wonderful idea! The Deer will enjoy this too..it's been so hard for them to find food under the snow cover here in upstate New York. Thanks for sharing…have a great Sunday! I love this idea! If I had a yard where birds came, I would totally do it! But I know my mom does, so I will be forwarding this to her! Thanks for sharing! 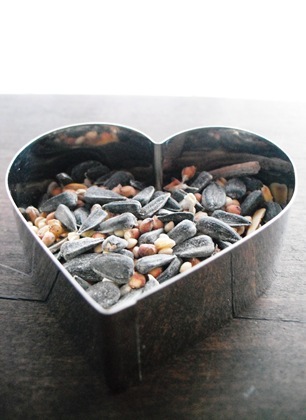 This is such a great idea we made several bird feeders last year to show the birdies some love. I'm going to feature this idea on my inspire before you expire campaign b/c it did just that…..inspired me! I can't wait to do this w/ my little one. oooh this is such a great idea! I love this. I never seen these! our birds thank you! Great project to do with my toddler. first time on your blog! Love the tweet treat. so cool! Oh….I have to make one of these! My son and I got so into feeding the birds last summer and can't wait to start up again. He'll like this project. Wonderful! My kids would love to make one (or two) of these with me! Thanks so much for linking up to Terrific Under Ten today! Cute Idea. My kids would love doing this. Thanks for the inspiration. This is great! I found you on Blue Cricket's show and tell and am now following. I'm looking forward to reading more in your idea file. Nice to think spring is just around the corner! 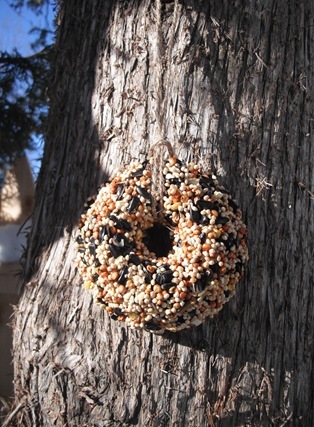 I'll have to make some to get ready for some feathered buddies to visit my yard. What a great idea. It's just so cute! Aww I love this! I wish I had a home so we could do this..saved for later:) Thanks for linking it up! 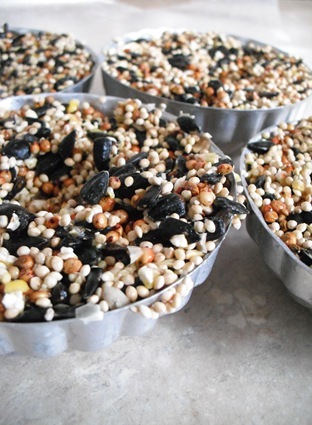 Chas, I featured your birdie treats on my blog today! Come grab an “I'm featured” button! I love this idea! Thank you for sharing! I am anxious to look through my little baking molds to see what cute little treats I can come up with for the birdies in the backyard! I am your newest follower! This looks like so much fun! What a great way to welcome the birds back home this spring. We should really make some of these, we have a big tree right by our back window and our kitties love to sit there and watch the birds come visit. Leaving them some treats would really bring our winged friends over again! Thanks for linking up to A Crafty Soiree. PS: Hope it didn't snow too much by you! We were excited because the rain melted a lot of the lingering snow of the ground…but then more snow ended up falling down. I'm so ready for spring! thanks again for linking up to the FLING! My kiddos will LOVE this! Thank you!